So, you have spent a lot of time and money in doing up your site. SimplifyThis can now make it work for you by automating the booking process for clients and giving your site that professional aura. 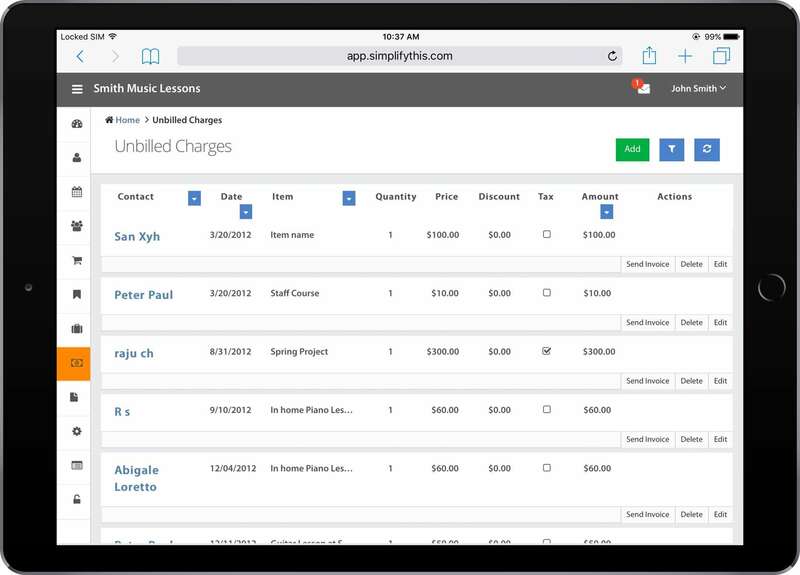 SimplifyThis makes it easy to keep a tab on client history and the discussions you've had with them. Clients like it too when they see that you're interested and you care. Is a significant part of your time going in checking which of your client's needs to be billed, who among them have paid you and who haven't? With SimplifyThis, you can now delegate all your invoicing and payment collection to an automated process and concentrate on your practice instead! Mundane and repetitive tasks like booking appointments, sending invoices, can often distract you from what you really love to do: helping clients with yoga. SimplifyThis understands the dilemmas of small businesses and provides applications to professionally manage routine tasks. Many a time, visitors to your site may be looking for a quick and easy way to book a training session at your yoga studio, without having to go through the hassle of calling someone up. 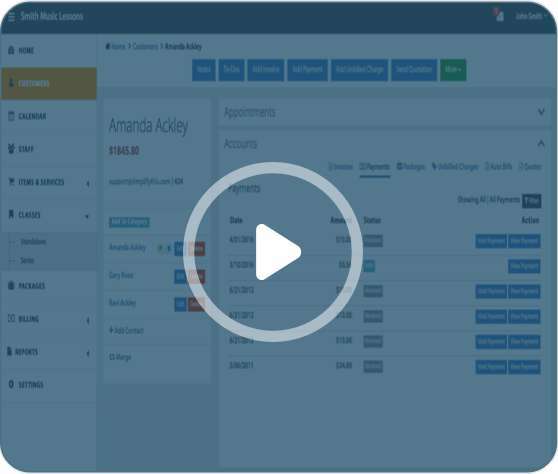 Let clients book appointments with you easily and make faster conversation. As your yoga studio grows, it'll be increasing time-consuming to manage appointment books, work phones for reminders, or type invoices. 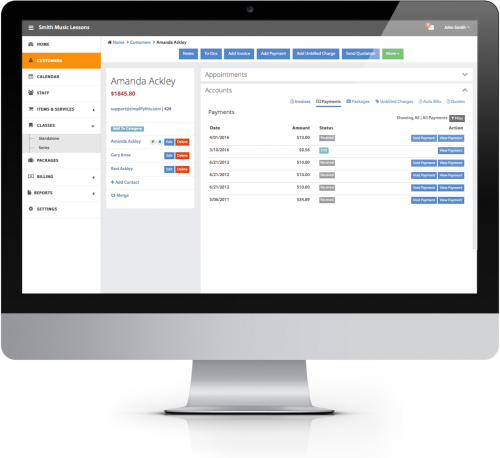 Automate scheduling, invoicing, and payments and get more time learning about new poses and concentrating on your clients. You don't want to go running for your appointment book the next time a client calls to make an appointment. 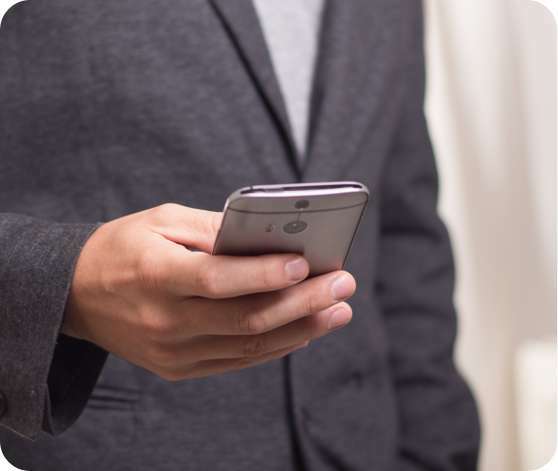 Don't have your clients call to book visits at all, instead use your website to make instant conversions. This way, even though yours may be a small business, you put out the image of a professional and well-managed yoga studio.